The Supreme Court in MSR Leathers Vs. S. Palaniappan has held that prosecution based upon second or successive dishonour of the cheque is also permissible so long as the same satisfies the requirements stipulated in the proviso to Section 138 of the Negotiable Instruments Act. The present case overrules Sadanandan Bhadran v. Madhavan Sunil Kumar (1998) 6 SCC 514 which laid down that cause of action under Section 138 arose only once and if the concept of successive causes of action were to be accepted the same would make the limitation under Section 142(b) otiose. In Sadanandan Bhadran v. Madhavan Sunil Kumar (1998) 6 SCC 514, this Court was dealing with a case under Section 138 of the Negotiable Instrument Act, 1881 (hereinafter referred to as ‘the Act’) in which the complainant had, after dishonour of a cheque issued in his favour, taken steps to serve upon the accused-drawer of the cheque a notice under clause (b) of proviso to Section 138 of the Act. No complaint was, however, filed by the complainant despite failure of the accused to arrange the payment of the amount covered by the cheque. Instead, the complainant-payee of the cheque had presented the cheque for collection once again, which was dishonoured a second time for want of sufficient funds. Another notice was served on the drawer of the cheque to arrange payment within fifteen days of receipt of said notice. Only after failure of drawer to do so did the payee file a complaint against the former under Section 138 of the Act. “7. Besides the language of Sections 138 and 142 which clearly postulates only one cause of action, there are other formidable impediments which negate the concept of successive causes of action. One of them is that for dishonour of one cheque, there can be only one offence and such offence is committed by the drawer immediately on his failure to make the payment within fifteen days of the receipt of the notice served in accordance with clause (b) of the proviso to Section 138. That necessarily means that for similar failure after service of fresh notice on subsequent dishonour, the drawer cannot be liable for any offence nor can the first offence be treated as non est so as to give the payee a right to file a complaint treating the second offence as the first one. At that stage, it will not be a question of waiver of the right of the payee to prosecute the drawer but of absolution of the drawer of an offence, which stands already committed by him and which cannot be committed by him again. 5. The Court accordingly dismissed the appeal while affirming the decision of the Kerala High Court in Kumaresan’s case (supra), no matter the same had been in the meantime overruled by a decision of the Full Bench of that Court in S.K.D. Lakshmanan Fireworks Industries v. K.V. 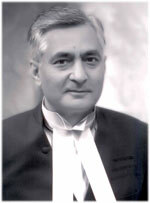 Sivarama Krishnan (1995) Cri L J 1384 (Ker). 6. When the present appeal first came up for hearing before a bench comprising Markandey Katju and B. Sudershan Reddy, JJ., reliance on behalf of respondents was placed upon the decision of this Court in Sadanandan Bhadran’s case (supra) to argue that the complaint in the instant case had also been filed on the basis of the second dishonour of a cheque after the payee of the cheque had issued a notice to the drawer under clause (b) of the proviso to Section 138 of the Act based on an earlier dishonour. On the ratio of Sadanandan Bhadran’s case (supra) such a complaint was not maintainable, argued the respondents. The Court, however, expressed its reservation about the correctness of the view taken in Sadanandan Bhadran’s case (supra) especially in para 9 thereof and accordingly referred the matter to a larger Bench. That is precisely how the present appeal has come up for hearing before us. It is, therefore, evident that this Court has repeatedly followed the view taken in Sadanandan Bhadran’s case (supra). But a careful reading of these decisions reveals that in these subsequent decisions there had been no addition to the ratio underlying the conclusion in Sadanandan Bhadran’s case (supra). 7. Before adverting to the submissions that were urged at the Bar we may briefly summarise the facts in the backdrop of which the issue arises for our determination. Four cheques for a total sum of rupees ten lakhs were issued by the respondent-company on 14th August, 1996 in favour of the appellant which were presented to the bank for collection on 21st November, 1996. The cheques were dishonoured in terms of memo dated 22nd November, 1996 for insufficiency of funds. A notice under clause (b) of proviso to Section 138 was then issued by the appellant to the respondent on 8th January, 1997 demanding payment of the amount covered by the cheques. Despite receipt of the notice by the respondent the payment was not arranged. The appellant’s case is that the respondent assured the appellant that the funds necessary for the encashment of the cheques shall be made available by the respondent, for which purpose the cheques could be presented again to the bank concerned. The cheques were accordingly presented for the second time to the bank on 21st January, 1997 and were dishonoured for a second time in terms of a memo dated 22nd January, 1997 once again on the ground of insufficiency of funds. A statutory notice issued by the appellant under clause (b) of proviso to Section 138 of the Act on 28th January, 1997 called upon the respondent-drawer of the cheques to arrange payment of the amount within 15 days. Despite receipt of the said notice on 3rd February, 1997, no payment was arranged which led to the filing of Complaint Case No.1556-1557/1997 by the appellant before the II Metropolitan Magistrate, Madras for the offence punishable under Section 138 read with Section 142 of the Act. The Magistrate took cognizance and issued summons to the respondents in response whereto the respondents entered appearance and sought discharge primarily on the ground that the complaint had not been filed within 30 days of the expiry of the notice based on the first dishonour of the cheque. It was also alleged that the statutory notice which formed the basis of the complaint had not been served upon the accused persons. The Magistrate upon consideration dismissed the applications for discharge which order was then assailed by the respondents before the High Court of Madras in Criminal Appeal Nos. 618, 624, 664, 665/2000. 8. The High Court has, by the order impugned in this appeal, allowed the revision and quashed the orders passed by the Magistrate relying upon the decision of this Court in Sadanandan Bhadran’s case (supra) according to which a complaint based on a second or successive dishonour of the cheque was not maintainable if no complaint based on an earlier dishonour, followed by the statutory notice issued on the basis thereof, had been filed. 10. Proviso to Section 138, however, is all important and stipulates three distinct conditions precedent, which must be satisfied before the dishonour of a cheque can constitute an offence and become punishable. The first condition is that the cheque ought to have been presented to the bank within a period of six months from the date on which it is drawn or within the period of its validity, whichever is earlier. The second condition is that the payee or the holder in due course of the cheque, as the case may be, ought to make a demand for the payment of the said amount of money by giving a notice in writing, to the drawer of the cheque, within thirty days of the receipt of information by him from the bank regarding the return of the cheque as unpaid. The third condition is that the drawer of such a cheque should have failed to make payment of the said amount of money to the payee or as the case may be, to the holder in due course of the cheque within fifteen days of the receipt of the said notice. It is only upon the satisfaction of all the three conditions mentioned above and enumerated under the proviso to Section 138 as clauses (a), (b) and (c) thereof that an offence under Section 138 can be said to have been committed by the person issuing the cheque. 11. Section 142 of the Negotiable Instruments Act governs taking of cognizance of the offence and starts with a non-obstante clause. It provides that no court shall take cognizance of any offence punishable under Section 138 except upon a complaint, in writing, made by the payee or, as the case may be, by the holder in due course and such complaint is made within one month of the date on which the cause of action arises under clause (c) of the proviso to Section 138. In terms of sub-section (c) to Section 142, no court inferior to that of a Metropolitan Magistrate or a Judicial Magistrate of the first class is competent to try any offence punishable under Section 138. 12. A careful reading of the above provisions makes it manifest that a complaint under Section 138 can be filed only after cause of action to do so has accrued in terms of clause (c) of proviso to Section 138 which, as noticed earlier, happens no sooner than when the drawer of the cheque fails to make the payment of the cheque amount to the payee or the holder of the cheque within 15 days of the receipt of the notice required to be sent in terms of clause (b) of proviso to Section 138 of the Act. 13. What is important is that neither Section 138 nor Section 142 or any other provision contained in the Act forbids the holder or payee of the cheque from presenting the cheque for encashment on any number of occasions within a period of six months of its issue or within the period of its validity, whichever is earlier. That such presentation will be perfectly legal and justified was not disputed before us even at the Bar by learned counsel appearing for the parties and rightly so in light of the judicial pronouncements on that question which are all unanimous. Even Sadanandan Bhadran’s case (supra) the correctness whereof we are examining, recognized that the holder or the payee of the cheque has the right to present the same any number of times for encashment during the period of six months or during the period of its validity, whichever is earlier. 14. Presentation of the cheque and dishonour thereof within the period of its validity or a period of six months is just one of the three requirements that constitutes ‘cause of action’ within the meaning of Sections 138 and 142(b) of the Act, an expression that is more commonly used in civil law than in penal statutes. For a dishonour to culminate into the commission of an offence of which a court may take cognizance, there are two other requirements, namely, (a) service of a notice upon the drawer of the cheque to make payment of the amount covered by the cheque and (b) failure of the drawer to make any such payment within the stipulated period of 15 days of the receipt of such a notice. It is only when the said two conditions are superadded to the dishonour of the cheque that the holder/payee of the cheque acquires the right to institute proceedings for prosecution under Section 138 of the Act, which right remains legally enforceable for a period of 30 days counted from the date on which the cause of action accrued to him. There is, however, nothing in the proviso to Section 138 or Section 142 for that matter, to oblige the holder/payee of a dishonoured cheque to necessarily file a complaint even when he has acquired an indefeasible right to do so. The fact that an offence is complete need not necessarily lead to launch of prosecution especially when the offence is not a cognizable one. It follows that the complainant may, even when he has the immediate right to institute criminal proceedings against the drawer of the cheque, either at the request of the holder/payee of the cheque or on his own volition, refrain from instituting the proceedings based on the cause of action that has accrued to him. Such a decision to defer prosecution may be impelled by several considerations but more importantly it may be induced by an assurance which the drawer extends to the holder of the cheque that given some time the payment covered by the cheques would be arranged, in the process rendering a time consuming and generally expensive legal recourse unnecessary. It may also be induced by a belief that a fresh presentation of the cheque may result in encashment for a variety of reasons including the vicissitudes of trade and business dealings where financial accommodation given by the parties to each other is not an unknown phenomenon. Suffice it to say that there is nothing in the provisions of the Act that forbids the holder/payee of the cheque to demand by service of a fresh notice under clause (b) of proviso to Section 138 of the Act, the amount covered by the cheque, should there be a second or a successive dishonour of the cheque on its presentation. 15. Sadanandan Bhadran’s case (supra) holds that while a second or successive presentation of the cheque is legally permissible so long as such presentation is within the period of six months or the validity of the cheque whichever is earlier, the second or subsequent dishonour of the cheque would not entitle the holder/payee to issue a statutory notice to the drawer nor would it entitle him to institute legal proceedings against the drawer in the event he fails to arrange the payment. The decision gives three distinct reasons why that should be so. The first and the foremost of these reasons is the use of the expression “cause of action” in Section 142(b) of the Act which according to the Court has been used in a restrictive sense and must therefore be understood to mean that cause of action under Section 142(b) can arise but once. The second reason cited for the view taken in the Sadanandan Bhadran’s case (supra) is that dishonour of a cheque will lead to commission of only one offence and that the offence is complete no sooner the drawer fails to make the payment of the cheque amount within a period of 15 days of the receipt of the notice served upon him. The Court has not pressed into service the doctrine of “waiver of the right to prosecute” but held that the failure of the holder to institute proceedings would tantamount to “absolution” of the drawer of the offence committed by him. The third and the only other reason is that successive causes of action will militate against the provisions of Section 142(b) and make the said provision otiose. The Court in Sadanandan Bhadran’s case (supra) held that the failure of the drawer/payee to file a complaint within one month resulted in forfeiture of the complainant’s right to prosecute the drawer/payee which forfeiture cannot be circumvented by him by presenting the cheque afresh and inviting a dishonour to be followed by a fresh notice and a delayed complaint on the basis thereof. 16. With utmost respect to the Judges who decided Sadanandan Bhadran’s case (supra) we regret our inability to fall in line with the above line of reasoning to hold that while a cheque is presented afresh the right to prosecute the drawer, if the cheque is dishonoured, is forfeited only because the previous dishonour had not resulted in immediate prosecution of the offender even when a notice under clause (b) of proviso to Section 138 had been served upon the drawer. We are conscious of the fact that Sadanandan Bhadran’s case (supra) has been followed in several subsequent decisions of this Court such as in Sil Import, USA v. Exim Aides Silk Exporters, Bangalore, (1999) 4 SCC 567, Uniplas India Ltd. and Ors. v. State (Govt. of NCT Delhi) and Anr., (2001) 6 SCC 8, Dalmia Cement (Bharat) Ltd. v. Galaxy Traders & Agencies Ltd. and Anr., (2001) 6 SCC 463, Prem Chand Vijay Kumar v. Yashpal Singh and Anr., (2005) 4 SCC 417, S.L. Constructions and Anr. v. Alapati Srinivasa Rao and Anr., (2009) 1 SCC 500, Tameshwar Vaishnav v. Ramvishal Gupta, (2010) 2 SCC 329. 17. All these decisions have without disturbing or making any addition to the rationale behind the decision in Sadanandan Bhadran’s case (supra) followed the conclusion drawn in the same. We, therefore, propose to deal with the three dimensions that have been highlighted in that case while holding that successive causes of action are not within the comprehension of Sections 138 and 142 of the Act. 18. The expression ‘cause of action’ is more commonly and easily understood in the realm of civil laws. The expression is not defined anywhere in the Code of Civil Procedure to which it generally bears relevance but has been universally understood to mean the bundle of facts which the plaintiff must prove in order to entitle him to succeed in the suit. (See State of Madras v. C.P. Agencies AIR 1960 SC 1309; Rajasthan High Court Advocates Association v. U.O.I. & Ors. AIR 2001 SC 416 and Mohamed Khaleel Khan v. Mahaboob Ali Mia AIR 1949 PC 78). 19. Section 142 of the Negotiable Instruments Act is perhaps the only penal provision in a statute which uses the expression ‘cause of action’ in relation to the commission of an offence or the institution of a complaint for the prosecution of the offender. A careful reading of Sections 138 and 142, as noticed above, makes it abundantly clear that the cause of action to institute a complaint comprises the three different factual prerequisites for the institution of a complaint to which we have already referred in the earlier part of this order. None of these prerequisites is in itself sufficient to constitute a complete cause of action for an offence under Section 138. For instance if a cheque is not presented within a period of six months from the date on which it is drawn or within the period of its validity, whichever is earlier, no cause of action would accrue to the holder of the cheque even when the remaining two requirements, namely service of a notice and failure of the drawer to make the payment of the cheque amount are established on facts. So also presentation of the cheque within the stipulated period without service of a notice in terms of Section 138 proviso (b) would give no cause of action to the holder to prosecute the drawer just as the failure of the drawer to make the payment demanded on the basis of a notice that does not satisfy the requirements of clause (b) of proviso to Section 138 would not constitute a complete cause of action. 20. The expression ‘cause of action’ appearing in Section 142 (b) of the Act cannot therefore be understood to be limited to any given requirement out of the three requirements that are mandatory for launching a prosecution on the basis of a dishonoured cheque. Having said that, every time a cheque is presented in the manner and within the time stipulated under the proviso to Section 138 followed by a notice within the meaning of clause (b) of proviso to Section 138 and the drawer fails to make the payment of the amount within the stipulated period of fifteen days after the date of receipt of such notice, a cause of action accrues to the holder of the cheque to institute proceedings for prosecution of the drawer. 21. There is, in our view, nothing either in Section 138 or Section 142 to curtail the said right of the payee, leave alone a forfeiture of the said right for no better reason than the failure of the holder of the cheque to institute prosecution against the drawer when the cause of action to do so had first arisen. Simply because the prosecution for an offence under Section 138 must on the language of Section 142 be instituted within one month from the date of the failure of the drawer to make the payment does not in our view militate against the accrual of multiple causes of action to the holder of the cheque upon failure of the drawer to make the payment of the cheque amount. In the absence of any juristic principle on which such failure to prosecute on the basis of the first default in payment should result in forfeiture, we find it difficult to hold that the payee would lose his right to institute such proceedings on a subsequent default that satisfies all the three requirements of Section 138. 22. That brings us to the question whether an offence punishable under Section 138 can be committed only once as held by this Court in Sadanandan Bhadran’s case (supra). The holder of a cheque as seen earlier can present it before a bank any number of times within the period of six months or during the period of its validity, whichever is earlier. This right of the holder to present the cheque for encashment carries with it a corresponding obligation on the part of the drawer to ensure that the cheque drawn by him is honoured by the bank who stands in the capacity of an agent of the drawer vis-à-vis the holder of the cheque. If the holder of the cheque has a right, as indeed is in the unanimous opinion expressed in the decisions on the subject, there is no reason why the corresponding obligation of the drawer should also not continue every time the cheque is presented for encashment if it satisfies the requirements stipulated in that clause (a) to the proviso to Section 138. There is nothing in that proviso to even remotely suggest that clause (a) would have no application to a cheque presented for the second time if the same has already been dishonoured once. Indeed if the legislative intent was to restrict prosecution only to cases arising out of the first dishonour of a cheque nothing prevented it from stipulating so in clause (a) itself. In the absence of any such provision a dishonour whether based on a second or any successive presentation of a cheque for encashment would be a dishonour within the meaning of Section 138 and clause (a) to proviso thereof. We have, therefore, no manner of doubt that so long as the cheque remains unpaid it is the continuing obligation of the drawer to make good the same by either arranging the funds in the account on which the cheque is drawn or liquidating the liability otherwise. It is true that a dishonour of the cheque can be made a basis for prosecution of the offender but once, but that is far from saying that the holder of the cheque does not have the discretion to choose out of several such defaults, one default, on which to launch such a prosecution. The omission or the failure of the holder to institute prosecution does not, therefore, give any immunity to the drawer so long as the cheque is dishonoured within its validity period and the conditions precedent for prosecution in terms of the proviso to Section 138 are satisfied. 23. Coming then to the question whether there is anything in Section 142(b) to suggest that prosecution based on subsequent or successive dishonour is impermissible, we need only mention that the limitation which Sadanandan Bhadran’s case (supra) reads into that provision does not appear to us to arise. We say so because while a complaint based on a default and notice to pay must be filed within a period of one month from the date the cause of action accrues, which implies the date on which the period of 15 days granted to the drawer to arrange the payment expires, there is nothing in Section 142 to suggest that expiry of any such limitation would absolve him of his criminal liability should the cheque continue to get dishonoured by the bank on subsequent presentations. So long as the cheque is valid and so long as it is dishonoured upon presentation to the bank, the holder’s right to prosecute the drawer for the default committed by him remains valid and exercisable. The argument that the holder takes advantage by not filing a prosecution against the drawer has not impressed us. By reason of a fresh presentation of a cheque followed by a fresh notice in terms of Section 138, proviso (b), the drawer gets an extended period to make the payment and thereby benefits in terms of further opportunity to pay to avoid prosecution. Such fresh opportunity cannot help the defaulter on any juristic principle, to get a complete absolution from prosecution. 26. The proviso referred to above now permits the payee to institute prosecution proceedings against a defaulting drawer even after the expiry of the period of one month. If a failure of the payee to file a complaint within a period of one month from the date of expiry of the period of 15 days allowed for this purpose was to result in ‘absolution’, the proviso would not have been added to negate that consequence. The statute as it exists today, therefore, does not provide for ‘absolution’ simply because the period of 30 days has expired or the payee has for some other reasons deferred the filing of the complaint against the defaulter. 31. Applying the above rule of interpretation and the provisions of Section 138, we have no hesitation in holding that a prosecution based on a second or successive default in payment of the cheque amount should not be impermissible simply because no prosecution based on the first default which was followed by a statutory notice and a failure to pay had not been launched. If the entire purpose underlying Section 138 of the Negotiable Instruments Act is to compel the drawers to honour their commitments made in the course of their business or other affairs, there is no reason why a person who has issued a cheque which is dishonoured and who fails to make payment despite statutory notice served upon him should be immune to prosecution simply because the holder of the cheque has not rushed to the court with a complaint based on such default or simply because the drawer has made the holder defer prosecution promising to make arrangements for funds or for any other similar reason. There is in our opinion no real or qualitative difference between a case where default is committed and prosecution immediately launched and another where the prosecution is deferred till the cheque presented again gets dishonoured for the second or successive time. 32. The controversy, in our opinion, can be seen from another angle also. If the decision in Sadanandan Bhadran’s case (supra) is correct, there is no option for the holder to defer institution of judicial proceedings even when he may like to do so for so simple and innocuous a reason as to extend certain accommodation to the drawer to arrange the payment of the amount. Apart from the fact that an interpretation which curtails the right of the parties to negotiate a possible settlement without prejudice to the right of holder to institute proceedings within the outer period of limitation stipulated by law should be avoided we see no reason why parties should, by a process of interpretation, be forced to launch complaints where they can or may like to defer such action for good and valid reasons. After all, neither the courts nor the parties stand to gain by institution of proceedings which may become unnecessary if cheque amount is paid by the drawer. The magistracy in this country is over-burdened by an avalanche of cases under Section 138 of Negotiable Instruments Act. If the first default itself must in terms of the decision in Sadanandan Bhadran’s case (supra) result in filing of prosecution, avoidable litigation would become an inevitable bane of the legislation that was intended only to bring solemnity to cheques without forcing parties to resort to proceedings in the courts of law. While there is no empirical data to suggest that the problems of overburdened magistracy and judicial system at the district level is entirely because of the compulsions arising out of the decisions in Sadanandan Bhadran’s case (supra), it is difficult to say that the law declared in that decision has not added to court congestion. 33. In the result, we overrule the decision in Sadanandan Bhadran’s case (supra) and hold that prosecution based upon second or successive dishonour of the cheque is also permissible so long as the same satisfies the requirements stipulated in the proviso to Section 138 of the Negotiable Instruments Act. The reference is answered accordingly. The appeals shall now be listed before the regular Bench for hearing and disposal in light of the observations made above. Pragmatic and realistic approach to the menace of dishonour of cheque with opporotunity to the offender to rectify his mistake. This one is very interesting. The position that once a notice has been issued and complaint not filed after the statutory period was over was all along held as irreversible but this decision by overruling sadanand Bhardan has created an interesting position that the cause of action would revive even after being extinguished once.And thus a complaint is maintainable even if the right to prosecute was not availed at the first instance. This is a great relief to the holder of the cheque. Wow, what a popular & useful posting have you? I like it, Thanks!